Victorian-based Darley stallions are having a brilliant run of late with two classy black type winners over the weekend flying the flag for their sires, Sepoy and Helmet. 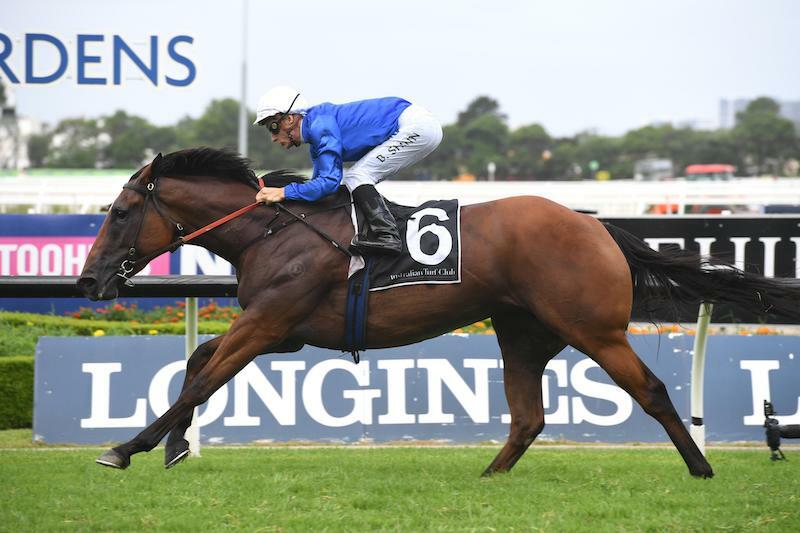 The brilliance of Godolphin filly Alizee was seen to full effect in the Group 2 Expressway Stakes as she overpowered a classy field of sprinters at Rosehill. Already the best of the progeny of her sire Sepoy, Alizee raced up to the form that has earned her two Group 1 victories to score a spectacular win over the Group 1 winner Le Romain, who is by former Victorian-based Darley stallion, Hard Spun. Sepoy’s 11th Stakes winner, Alizee was given an easy time early in the 1200 metre race, before gathering in the leaders under her own steam and cruised to the lead with 100 metres to run. Against an impressive group of top-class gallopers, she was almost arrogant in her victory against the $5.5 million earner Hartnell, $5.2 million earner Trapeze Artist, $3.9 million earner Le Romain and the $1.6 million earner Dothraki. The win was the second in her two starts since returning from a break and earned her favouritism for next month’s $5 million All-Star Mile at Flemington. Alizee is a member of a family that is becoming one of the more elite in Australia, her dam Essaouira having produced five winners from her only five to race, including the Group 1-winning Darley stallion Astern and the highly promising two-year-old by Victorian-based stallion Brazen Beau, Tassort. After breaking his maiden with a dominant display in the Golden Gift at Rosehill, he is now the Golden Slipper favourite. “She’s a serious animal and at weight-for-age to perform like that is a great thrill,” winning trainer James Cummings said. 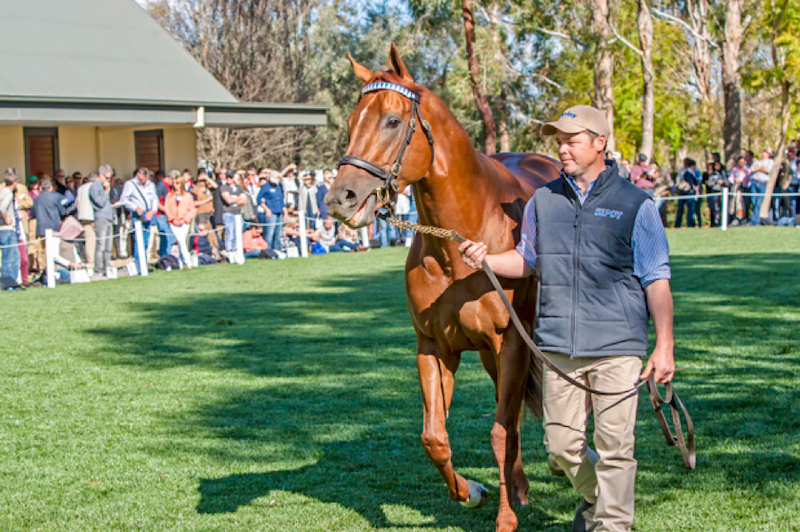 Sepoy will be represented by 8 lots at Inglis Classic Yearling Sale, 4 lots at Inglis Premier Yearling Sale, 2 lots at MM Adelaide Yearling Sale and 1 lot at Inglis Australian Easter Yearling Sale. 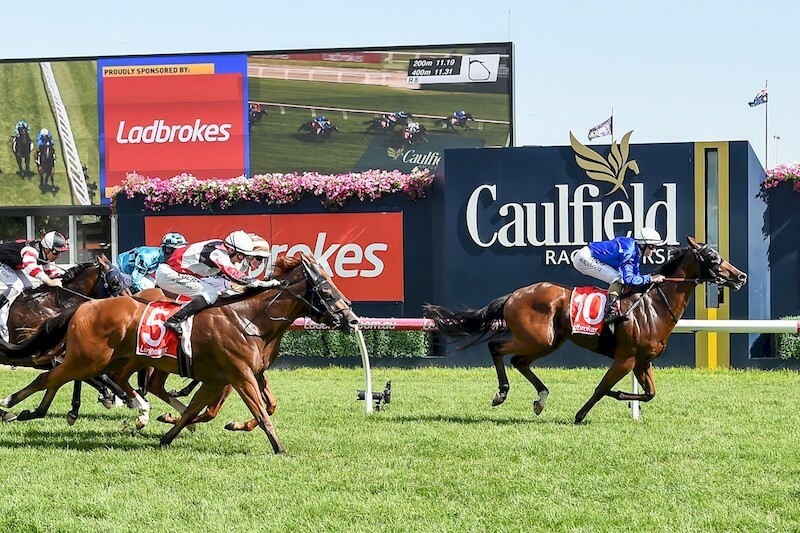 While the son of Helmet, Godolphin’s promising three-year-old colt Tin Hat earned a maiden stakes win in the Group 3 Manfred Stakes over 1200 metres at Caulfield. It was the third consecutive win for the James Cummings-trained colt who led at every call under Damian Lane to defeat the son of Magnus, Halvorsen by one and a quarter length with Poised To Strike (Akeed Mofeed) a half-head back in third. Godolphin’s Melbourne stable representative Kate Grimwade said they seem to have hit on a winning formula with Tin Hat. “He likes to get rolling, and he’s got a big stride on him,” Grimwade said. While the win of Tin Hat’s would have also given prominent Victorian trainer and breeder David Brideoake plenty to cheer about, as he purchased Tin Hat’s dam, Syncopated off Darley for just $4,000 through Inglis at the 2016 Inglis Australian Broodmare sale. She was covered last spring by Brideoake’s resident stallion Good Journey (USA) at his Victorian Violet Town property. A Sydney winner of two races, Syncopated is a three-quarter-sister to Listed winner Warm Love (Octagonal) who placed third in the Group 1 VRC Lightning Stakes. Tin Hat becomes the eighth stakes-winner for Helmet (Exceed And Excel) who remained in the northern hemisphere last year after six seasons at Darley’s Victorian base. Helmet progeny in the upcoming sales include 2 lots at MM Tasmanian Yearling Sale, 2 lots at Inglis Premier Yearling Sale and 2 lots at MM Adelaide Yearling Sale.